Spring Awakening cast members in rehearsal are, from left, Kahlila Ball, Kane O’Scalleigh, Jekka Mack and Amelia McCluskey. The production with music by Duncan Sheik and lyrics by Steven Sater opens next Friday, Aug. 31 at ArtSpring. Local theatre company exitStageLeft’s new production is a rock musical that tells the story of teenagers discovering their sexuality in an oppressive society. Spring Awakening is based on a play written in 1891 by Frank Wedekind. The play had a limited run and was revisited in the United States beginning in the 1960s. It was developed for Broadway in the early 2000s with music by Duncan Sheik and a book and lyrics by Steven Sater. The play is set in 1890s Germany and follows a group of teenagers as they come of age sexually in an authoritarian and repressive society. Though the play covers such themes as sexual assault, suicide, abortion and sexual repression, the rock music soundtrack gives the audience a chance to relate with the characters and see them as real people. Members of the cast have jumped headfirst into their roles. While it may be incongruous seeing mature themes come from such young people, they feel that they are opening up difficult topics for discussion and inviting the audience to think about things they might not be comfortable with. Cast member Kahlila Ball said that getting into her character was the hardest thing she’s had to do. The driving force behind this play comes from the young cast. ExitStageLeft’s decision to perform Spring Awakening this year brings extra awareness to the struggles still faced by young people today. The current political climate is one that fosters intolerance, discrimination and oppression, and Penhale explained that this was the company’s way of speaking against that. 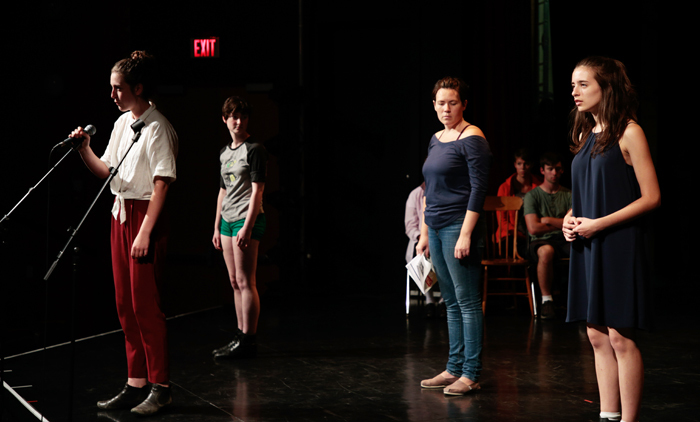 Spring Awakening opens at ArtSpring on Aug. 31, and continues on Sept. 1, 5, 6, 7 and 8. The show begins at 7:30 p.m.